Located 2 hours north of Toronto on the exclusive north west end of Lake Joseph. The cottage is situated on a beautiful south point with boating and swim docks on the East and West exposures allowing for sun all day. Ideal for 1 or 2 families; there are 6 Bedrooms, 3.5 Baths, 2 well equipped Kitchens, walk-in Pantry and 3 Fridges, 2 stone Fireplaces and 3 generous Living / Recreation areas outfit this 3500 sq. ft. Cottage. Canoe/ Kayaks / Paddle Boat, a Horseshoe Pitch, Ping Pong, Satellite TV, Internet, Indoor and outdoor Sound System and lots of Games are provided for recreation. Boat rentals for touring or water skiing are available at 2 local marinas. Prestigious Rocky Crest Golf Course is 5 minutes away by boat or car. The property has 1000 ft. of shoreline and 10 acres for walking and hiking. Quiet, private and luxurious; this is the ideal retreat or entertainment spot. We are from Toronto and have been coming to Lake Joseph since childhood building memories for a lifetime. It worked beautifully for our family. Real rambling cottage feel and lots of private areas to relax. Three refrigerators handy and canoes, paddle boards and peddle boats available. Upper loft area not finished yet but still a great spot for kids to go for nighttime movie. Very comfortable . Furniture has a relaxing cottage feel. Great views and swim areas. This large beautiful rustic family cottage has fantastic views off the point with perfect dock and walk in areas (several) to the lake. Chris - the owner - was outstandingly helpful and really great to deal with. Dave - the caretaker - was there when we arrived and showed us around. Both gentlemen were very responsive and so willing to assist. Our family weekend there was amazing and we will never ever forget it! Thanks Chris! We had a wonderful time and our family from overseas was extremely impressed with the property . We were able to experience an amazing Canadian holiday in beautiful Muskoka . The house is very well equipped and the owner explained every single detail very nicely via e mail or manuals at the house . Thanks Christopher for this wonderful opportunity! Your house is very welcoming and we hope to return soon . The views are incredible! and the way the little peninsula is positioned is just perfect for sunrise and sunsets . Kayaks , canoe, paddle boards , can't ask for more! Great memories ! Thanks again for allowing us to stay . 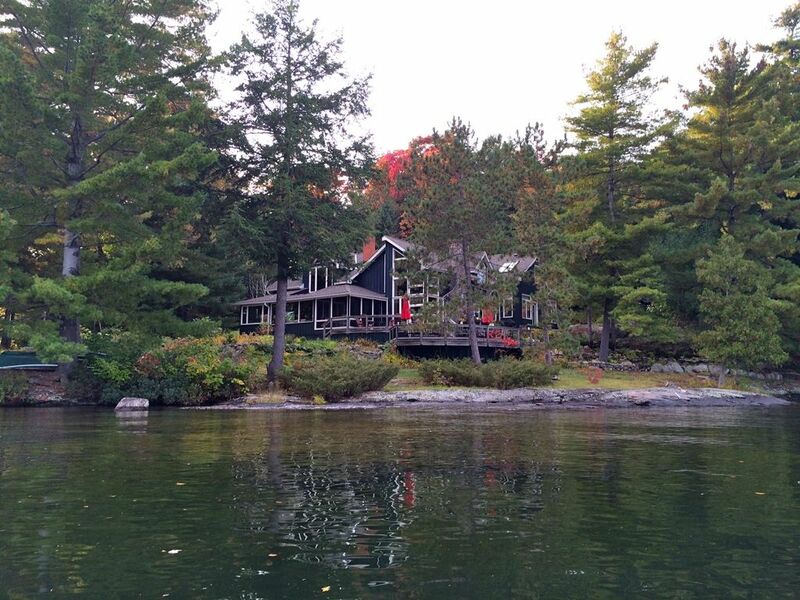 This property celebrates the magic of Muskoka - what it was and what it continues to be. There are very few places left in Muskoka that retain that connection to the land, water, and nature. This cottage is one of them! I rented the cottage for a month to collect my family from 5 countries ranging in age from 3-89! The cottage was everything I imagined and more! It is well maintained and beautiful and if you love to cook - you will be in heaven! We are a family of swimmers - rain or shine we made full use of the lake! It is the best water anywhere! Chris was great to work with and he and the operations manager were both accessible and attentive. My only caution is that you will not want to leave! 10 out 10. As always. As repeat guests at this cottage we were just as pleased as we have been in the past. The new main shower was a welcome and lovely surprise. The grounds were beautiful and the new canoes and paddle board along with the kayaks were used by all of us. 2018 and 2019 are already booked. Our family can't wait to return. For stays of less than 5 nights; contact the owner for availability and rate; 3 or 4 nights will be considered. Purchasing the $99 protection plan is requirement of making a booking. There is an option to pay on your credit card and not get charged the $ 99.